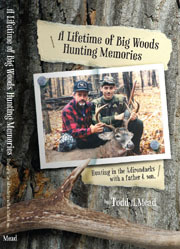 I was encouraged to write my first book, A Lifetime of Big Woods Hunting Memories by a very good friend. He thought I had a vast amount of knowledge to go along with many good stories about hunting in the Adirondacks. I took the challenge and in the process I was able to retrace my footsteps through every period of my life up until today. I stuck to the format of story telling because it came natural and easy for me. You‚Äôll see that I named every chapter after a specific deer. 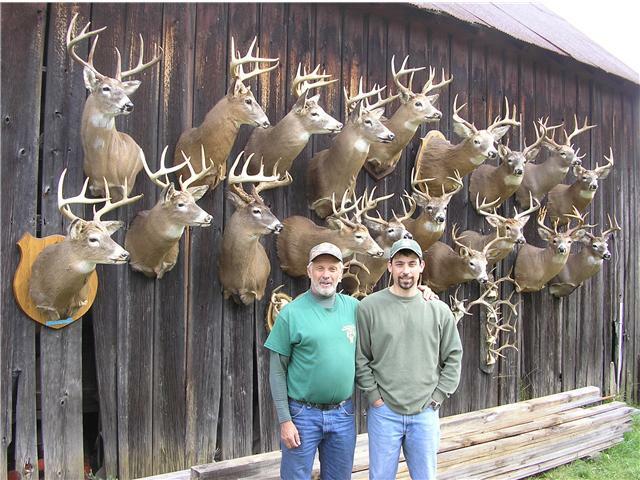 The deer I wrote about are some of the most memorable ones that my father and I have in our collection. I hope that by sharing my stories it will lead to more and better opportunities for anyone who reads them. I also hope that people can have an appreciation for the bond I have formed with my father and closest friends through hunting. I know many people might not approve of the sport, but without it I would be a lost soul. Hunting has brought me inner peace and tranquility over the years. I have become more in touch with nature and all of my surroundings. I‚Äôll be forever thankful that I was introduced to it when I was a child. This book will serve as a keepsake for my family and the generations that follow. I‚Äôve realized over the last few years that there are less and less young people taking up the sport. It‚Äôs our responsibility to pass it on to our children, grandchildren, nieces, nephews and even the neighbor‚Äôs kid. I am extremely thankful that my father was my role model. He paved a path for me that was clear and easy to follow. He taught me everything he knew and I gained much more on my own. Over the years we became best friends and now I‚Äôll have a book which tells many of our incredible stories. I hope you enjoy reading them as much as I enjoyed telling them. After I began selling the first book I was overwhelmed by the feedback I received. It was rewarding to hear from so many readers from across the country. That's when I decided to write another book. 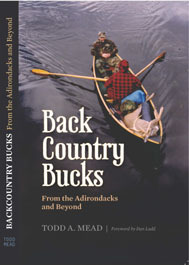 My second book, Backcountry Bucks, is very similar to the first book. I wrote about many of the adventures I've shared with friends and family. In this book I took a lot of the focus off from killing big bucks. I tried bringing the readers into my own world where I've dealt with many different things.No matter what the incident involved, the backcountry was always a place I could go to get away from everything. The book starts by examining many of my opening day experiences and it closes with some adventures that took place on the last weekend of a few different seasons.